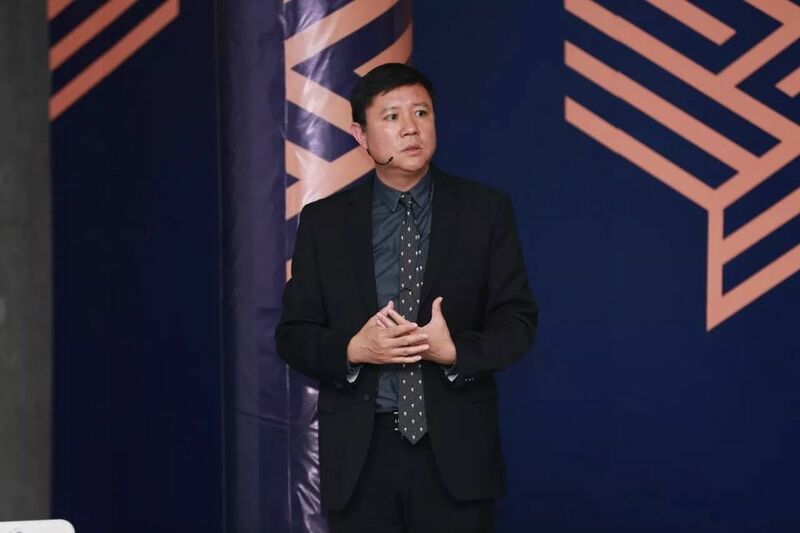 Xu Gang, a curator and professor at universities in China and the US, has responded to allegations of sexual and physical assault that have led to his dismissal as chief curator of the inaugural Shenzhen Biennale in May. Last week, several women posted allegations of sexual and physical misconduct by Xu, who works for the University of Illinois, Urbana-Champagne (UIUC) and at the Sichuan Fine Arts Academy. These were first posted on the Chinese social media site Douban on 10 March by Wang Ao, a literature professor at Wesleyan University in Connecticut, who claims to know several victims. He did not name Xu. That post was removed by the site's administrators. Wang posted it again on another social site called Zhihu on 12 March, this time naming Xu and sharing a message by a group calling themselves the Legal Volunteers in North America, soliciting further accounts of Xu’s misconduct, which the group says stretches back 20 years. On 14 March, a woman using the handle Survivor2018 responded on Zhihu that Xu coerced her into a sexual relationship while she was his student, and threatened to derail her academic career if she resisted or reported him. Her post was quickly shared on the WeChat channel of United Motion, an organisation of artists, curators and critics offering an advocacy platform for arts workers, and on the Chinese edition of the publication Art Forum. Both highlighted a much-publicised incident in 2015 between Xu and a female student at UIUC, which was reported online at the time. Speaking on condition of anonymity to The Art Newspaper, Survivor2018 verified the contents of her Zhihu post, and said she is willing to testify against Xu. "I am still frightened," she says, “because several victims have been contacted by Gary already. I don’t want to be the next. As far as I know, some were threatened. I don’t know the details. Previously they were willing to be interviewed. Now they got cold feet." A subsequent report by the Chinese publication Sixth Tone gave the accounts of two anonymous women who were Xu’s students at UIUC, one alleging that Xu coerced her into a sexual relationship, and another describing Xu as behaving inappropriately with his female students on a regular basis. Speaking anonymously, a former student of Xu tells The Art Newspaper that the professor and her classmate, who declined to be named, had a widely-known, long-running romantic relationship that erupted into a fight in April 2014. The student having the relationship threatened suicide and went to Xu’s home, and was arrested and released. Xu posted on Sina's Chinese blog platform in August 2015 that she was a stalker who threatened the lives of his family; images she posted at the time depicting a black eye and a restraining order filed against Gary Gang Xu on 10 August 2015 with the Sixth Judicial Circuit were reposted on a feminist WeChat blog on 19 March and censored the next day. The student The Art Newspaper spoke with describes how another classmate, who tried to assist the woman in 2014, was subsequently threatened by Xu with defunding and expulsion, and left UIUC due to his ongoing psychological harassment. “Gary was a control freak” about his female students’ behaviour, she says, and treated them like secretaries while deriding their intelligence. Xu says: "the attack comes from a post three years ago. From a Chinese language gossip website. It was quickly taken down per the demands of my lawyer, in the US, but you know these things never go away," Xu says. "The post from three years ago is an anonymous post, it does not name names, it only says that a student at a certain [Midwestern] American university has been having a relationship with a professor, and that she has been domestically abused, and even jailed, kidnapped, and so on and so forth." About the veracity of that allegation, Xu says, there is “none whatsoever.” One should "trust the American legal system. If there were any domestic abuse instances, I would be in legal trouble, there would be an arrest record, there would be restriction on traveling, there would be many, many other things." Recent reports have also highlighted an incident from 2013 during the Art Sanya festival in which Xu struck Mu Qiao, the female assistant of his co-curator Huang Du. Xu says that he never hit Mu Qiao "deliberately.” He says: “The exhibition site lacked a lot of things, so I was really busy. While I was having dinner my assistant rushed in. She said she was pushed around, she was almost strangled, she was intimidated by a group of no fewer than five people, who were "led by Mu Qiao," due to a dispute over the use of a storage site. “Mu Qiao demanded that my assistant remove the work of a Thailand artist [Sakarin Krue-on] work as soon as possible so they can use the site for their own artists' work." In moving it, "they broke several pieces, and that was an absolute no-no for us, for any exhibition,” and the show was uninsured. “You can imagine how angry I was," Xu says. "So I rushed over, and they saw me rushing over, everyone was trying to hold me, at least five or six people trying to drag me, I was struggling towards the room. I was able to fight myself out of their hold. I swung my arm. You know, when you free yourself from a group of people, you’ve gotta swing your arms really hard. I swung my arms, and Mu Qiao was standing in front of a large group of artists. And the back of my hand hit her face... I never deliberately hit her, it was the result of a scuffle.” Xu says he was dragged out of the room. He calmed down, returned and apologised. “I said, If I actually hit her, call the police —please. That is the standard procedure in China. You call the police, the police come over, they solve everything. But nobody thought it was serious enough to call the police." Xu adds: “I’m reserving the right to pursue legal action, because I would want to accuse her of overstating the fact, and omitting all of the preceding events" in her accounts. On 16 March, the host of the Shenzhen Biennale, the Luohu District Art-Tweet Art Centre, posted on WeChat: “In line with our centre’s attitude and mission of promoting the positivity of art, after consideration, we have decided to terminate cooperation with Xu Gang on the Shenzhen Art Biennale and remove his title of curator." The Shenzhen Biennale website has gone offline as of the time of publication, and artists involved had been told as early as mid February, well ahead the controversy surrounding Xu, that the event might be cancelled. Yesterday Xu posted to social media a lengthy letter in Chinese ostensibly to Wang Ao from the Guangdong Panxin Law Firm demanding Wang cease posting and remove prior posts. Wang says he has not received this letter directly, and only saw it circulating online. A shorter missive in English, similarly distributed on Xu’s social media, begins, “Re: Potential Libel Claims—Ladies and Gentlemen: It has come to Dr. Gary Xu's attention that a story, falsely and libellously accusing Dr. Xu of abusive conduct, including sexual harassment, intimidation and violence against students, may be or has been republished by your organisation." It continues, "These stories and their republication in various media constitute a serious and damaging libel to Dr. Xu by both their original authors and by their publishers. I hereby demand that you withdraw any publication or republication of these libellous allegations and take down any related posts and comments immediately."